“Whether on the football field, or in the community, acts of violence have no place. From executive leaders, to police chiefs, to athletic coaches, Racial Intelligence mentorship starts at the top. The case of two Texas high school football players who have been accused of intentionally colliding into a referee will be treated as an “assault on a school official,” school district officials said at a news conference today. 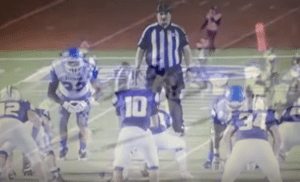 During Friday night’s game, “two players from John Jay High School targeted one of the game officials and blindsided him, knocking him to the ground,” the Marble Falls Police Department said. The John Jay High School players, who have been suspended from the school and the football team, will not be named because they are minors, officials from the Northside Independent School District said. The school’s football season will not be canceled, the officials added. Pascual Gonzalez, a spokesman for the Northside Independent School District, said the players were frustrated by what they thought were wrong calls. The players also “allege racial slurs were directed at them by the umpire,” he said, adding that the district is investigating that charge. Woods said the two players will receive a disciplinary hearing, adding that the district will also file a complaint about the racial slur allegation with the Texas Association of Sports Officials. Additionally, “The students allege that an assistant coach said, ‘That guy needs to pay for cheating us,’ or words to that effect,” Gonzalez said. The assistant coach was placed on administrative leave, Gonzalez said, adding that it is standard protocol. “His alleged suggestion to the students was inappropriate and could have led to this incident,” Gonzalez said. The head coach was not aware of the alleged conversation between the assistant coach and the students, Gonzalez said. Meanwhile, the NFL Referees Association has condemned the actions of the players who police say “targeted” and “blindsided” a referee on a field in Marble Falls, Texas. The incident was caught on video and is being investigated by the Marble Falls Police Department. No arrests have been made, although both students have been suspended. The name of the referee has not been released. Two other Jay players had been ejected on separate plays before the referee was knocked to the ground. The game was against Marble Falls High School in Marble Falls, about 90 miles north of San Antonio. The Jays lost 15-9. “Until all of the facts are gathered TASO will have no further comments,” the association added. “Both students have been suspended from the football team as well as from school,” Gonzalez said in an earlier statement to ABC News of the two who went after the referee. 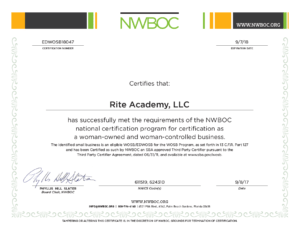 The RITE Academy brings Racial Intelligence training™ inside the walls of law enforcement, and onto the streets of the communities they serve. Our exclusive EI+SI=RI continuing education, combining Emotional Intelligence (EI) PLUS Social Intelligence (SI), gives birth to the much needed, Racial Intelligence (RI). 16-Member Ferguson Commission Reports Solutions towards Racial Change!